Everything Coastal....: Sea Shell Votive Jars for a Party! Rather proud of how our 50th Wedding Anniversary Party votive "jars" turned out. I wanted to make something that would reflect my mom and dad's love of the beach and their many travels to all over the United States picking up seashells and sea glass along the way. These sea glass, shells and vintage mason jar votives were pretty easy to make - once we had all of the supplies assembled! *tiny drill We used Kristy's jewelry dremel (and her expertise!) 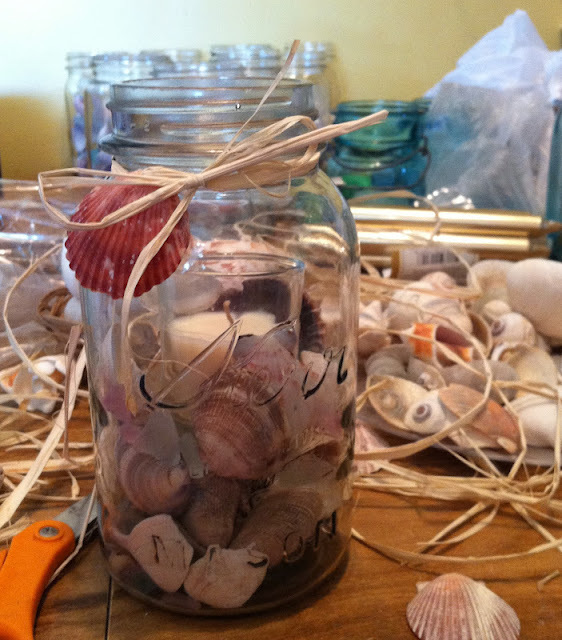 to drill tiny holes in the seashells to adorn the outside of our jars. *Votive Candles - In glass, not just the candles by themselves. I found white vanilla ones at Michaels for a very reasonable price. *shells. We did buy a few packages from our local dollar store, but between my mom and I, we have piles of them that we have been collected from beach walks in Florida, Texas, and Washington. I tried to use as many local Puget Sound ones as I could. We filled over 30 jars and just did not realize how many shells it actually takes to fill them up! *Mason Jars. My mom had all of the vintage mason jars. (Cannot begin to tell you how many jars of canned peaches, pears and plums these have held!) 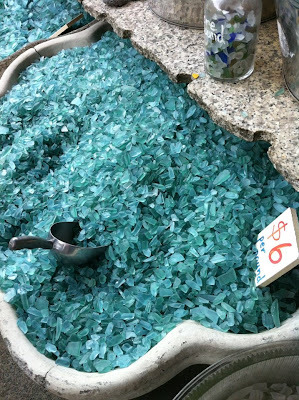 The turquoise pretty ones all came from my grandparents farm, as my mom just could not bear ever getting rid of them. So for us, these jars also held a lot of meaning to our family. We layered the seashells and sea glass to about 2 inches deep before setting in the glass votives. Then layered in more shells and glass around the candles to keep them standing up straight in the jars. Have a great Monday - thanks for stopping by Everything Coastal. If you get a chance, we would love to have your vote in the Business. Inspired by ASUS Contest - for every vote and every share we'll enter your name into our drawing! P.S. The party turned out wonderful! Voted and posted to fb for you today. I hope you win! What a darling idea!!! I'm sure the guests LOVED taking that special gift home...they will use it for a long time!!!! 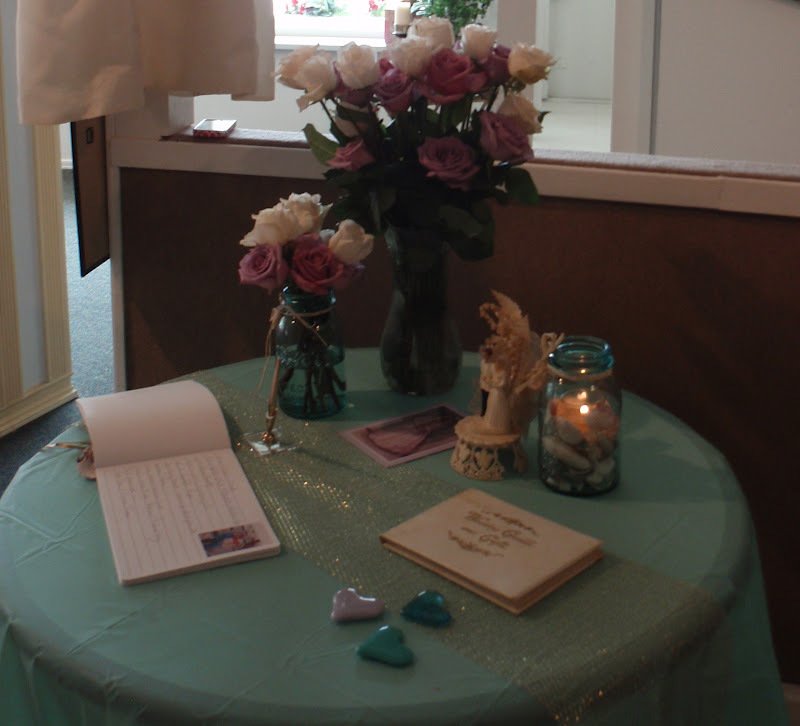 I especially like that you even put a voive candle in the jar. How Beachy!!! Those turned out great! Super party idea. My daughter recently made something very similar for me except for the raffia. I added a couple of inches of water into the jar as well. I have it sitting on my bathroom sink and its so pretty. I love handcrafted/ocean themed treats for parties! Stop by for a Shopbop Giveaway!